A small amount of stress in some circumstances can actually be a good thing – it can be what fuels us in “fight or flight” situations. Most of the time, however, stress is not a good thing. It can cause physical and mental harm to our minds and our bodies. It can make life unhappy, angry, uncomfortable and overwhelming for ourselves and those around us. Work (or lack of), money (or lack of), time (or lack of), relationships, school, living arrangements, feelings of inadequacy, loss of confidence, change, sleep, diet – all can be major causes of stress in our busy lives. So, how can we help ourselves reduce stress and make us feel better about ourselves ? Recently I had the privilege of writing a guest post on this very topic for Steve Rees and his blog at CalmingHarp.com : Eat Sleep Relax – Best Stress Relief Ever . Steve is a wonderful musician and harpist who specializes in calming music and knows a thing or two about calming down and relaxing the mind and body. Thanks for the opportunity to write on your blog Steve ! A summary of that article I wrote for Steve and his CalmingHarp.com community can be seen here in this simple power point presentation I have created called “ Stress Busters “. Stress Busters from Calming Music . I hope that it is obvious that I am NOT a doctor, nor do I have any medical training what-so-ever. However, as a musician who, like Steve Rees, has found a niche in calming music, I have found it very beneficial towards reducing worry and calming down. I know from my own experience and that of many of my listeners that taking some time out and listening to calming music can help to reduce stress in peoples lives. 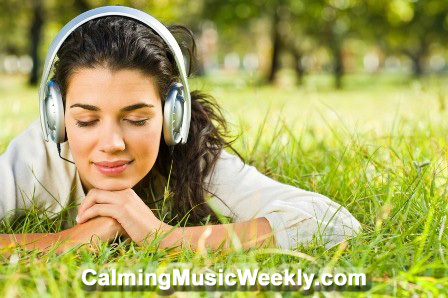 I know that many of the featured musicians within this calming music blog have found the same thing – their listeners report to them time and time again that calming music helps reduce stress. It should go without saying that calming music on its own will not magically make the sun shine, birds sing, unicorns frolic and Leprechauns dance your stresses away. However, the simple act of actually taking the time out to sit still and listen to some calming music will go a long way towards helping you to relax. So, what about other stress busters ? Eating properly and having a good and healthy diet is one relatively simple way to bust stress. Getting enough sleep – regular and unbroken sleep – is another. Taking time out to do something you love is yet another of many possible stress busters. 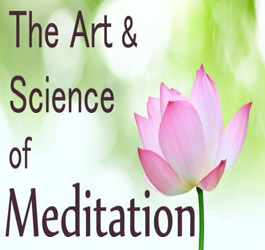 Reading, relaxing, vacations, playing golf, cooking, gardening, yoga, meditation or guided meditation, spending time with friends or family, learning a new skill, arts and crafts, hobbies – anything to take your mind off the worries of our always busy lives. Deep breathing by slowly inhaling and exhaling while counting backwards from fifty to zero is another good and easy way to reduce stress. What do you do to reduce stress ? What do you do to relax and calm down ? What are your favourite stress busters ? Please leave your suggestions below and please share via the social icons to the left of this page !